Feel the music through your controller. The best controller for finger drumming. 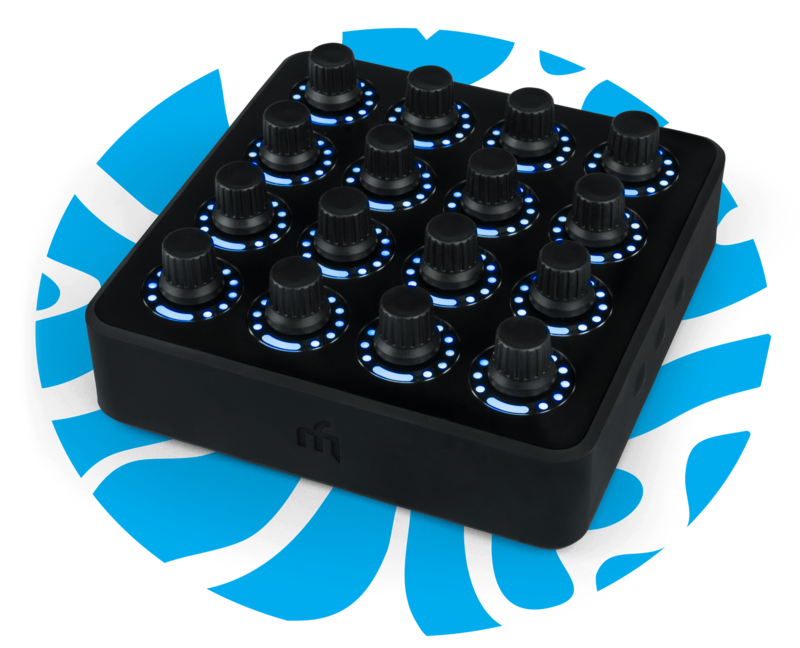 What Makes the Midi FIghter 64 Special? Authentic Japanese arcade buttons offer industry leading latency for ultra fast playback. Bright LEDs make it easy to create eye-popping light-shows. This looks and feels like nothing else. The ultra bright LEDs are perfect for performance videos. Easily trigger pre-made LED animations with one touch, or customize each LED yourself for advanced light shows. This is the exact same model Shawn Wasabi uses. Playing a real drum kit just feels satisfying. Why? Real drums bounce back. Our buttons bounce back one full millimeter for ultra-fast playback, easy triplets & drum rolls. Offering industry-leading latency, this is the gold standard for finger drummers. What Makes the Midi FIghter 3D Special? One of the most popular finger drumming and performance controllers around. Built like a tank to survive a beating on stage and in the studio. The 3D is equipped with world class arcade buttons that perform better than anything around. The Midi-Fighter also includes a completely unique 3D controller set. You can map left, right, forward and back tilt to any parameter including FX, filters, or pitch. By combining a gyroscope, accelerometer, and compass we provide the smoothest, most accurate 3D control you can possibly imagine. Six hidden, but very functional buttons are built into the soft sides of every Midi Fighter. These can even be banked so their functionality changes depending which of the 4 banks is enabled. You can even map these to launch scenes in Ableton. The four top buttons can provide 4 banks of arcade control or they can be directly mapped to your own settings. This feature and others are changed using the powerful MIDI editor. "This is the only controller in our stage rig that never breaks. We tour with more that 10 at any given time." I can get more precise timing out of this than other velocity-sensitive pad controllers." "I've had my 3D for about a week now? I've had a great time with it so far in Ableton Live 9. If you even THINK you're the type who creates by playing then do yourself a favor and pick this up. It's simple enough get right into, but expressive enough to really cut lose with." These buttons were forged in hell: made for non-stop, 24/7 button-mashing in busy arcades. Rock-solid construction, buttons rated to last 5 million presses and zero moving parts mean one thing: the 3D can survive a serious beating. Shouldn't music making feel fun and not frustrating? Meet the 3D: 4 banks of 16 buttons - aka all you need to make and play a full song. Easily color code each LED ring or create ultra bright, eye-popping light shows to impress friends. Authentic Japanese arcade buttons are the highest quality button in the world offering the lowest latency and highest durability around. These feel amazing and will never break. Why are they only in the MidiFighter? Because they are so expensive to use, and other controller companies focus purely on profit. We want to power performers and fill the world with music. A soundpack is a collection of samples that makes up a full song with only 16 buttons. This includes synths, build ups, risers, bass samples and drums. Rick Fresco created this soundpack from beer bottles. He can then play the full song with only two hands and share it with everyone in a single click. If you can use a computer keyboard, you can finger drum. All you need is a computer, the Ableton live (free trial), and a 3D. Load thousands of pre-created sound packs and start playing your own versions of those songs instantly. My question isn't listed. Where is the full F.A.Q? Checkout our full support page here. If your question isn't listed, open a support ticket. How long does it take to ship to me (domestic & international)? Is the 3D standalone or do I need a computer? You need a computer. It will work with any computer that has a USB port and supports MIDI. 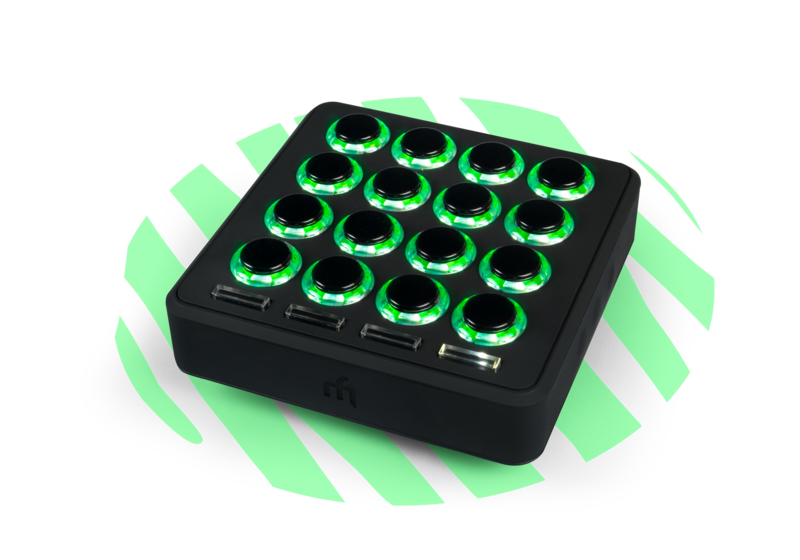 The MidiFighter 3D is a class compliant, plug and play controller. Why is this priced at $219? This is not a cheap controller to build. Other manufactures use the same button contacts found in your TV remote, but we care about quality. The 3D's buttons are rated at 5 million presses - compare that to 40,000 presses on your standard controller. This helps make the 3D far more durable - and playable - than anything under $1000, and more reliable than most controllers on the market (even the $2000 ones). We made our controllers for ourselves and to please DJs, not to make insane profits, so we've choose to price it very fairly. You're getting a controller other companies would easily price at $400+. I'm not musical. Where do i even begin? Getting started is what’s important. Every great DJ and producer starts somewhere. They start before they know what to do. Can you think of anybody who started playing piano and was instantly playing Beethoven? Or any weight lifter who after just two weeks was able to lift 300 pounds? No. But don't worry, here's our 5 minute setup overview, even if you're totally new to music. Choose sounds, sample sounds, or use Ableton's drum kits. Can I have a little extra help? What software should I use? How do I set this up? If you have time to read the F.A.Q section of the product page, you have time to learn to make music. Start with just 10 minutes a day. You'll be happy you got started - it's really fun. You've got to make time for what you care about. How do i finger drum? It looks hard. The most playable knob controller around. 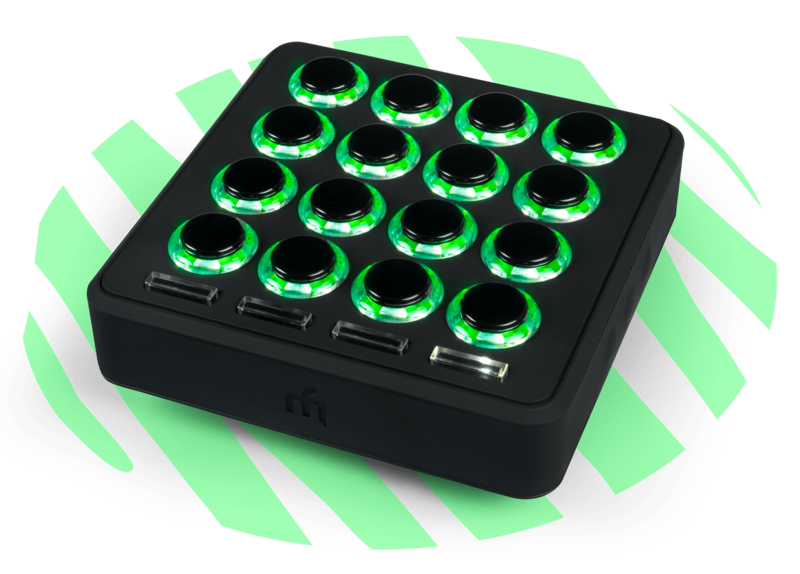 What Makes the Midi FIghter TWISTER Special? Each knob doubles as a super powerful button. Turn the encoders to control a parameter in any software and twist their built in buttons to quickly reset the knobs or turn effects on and off. This means each knob is like 3 knobs. The heart of the Twister are the 16 "Endless Encoders". These are very powerful knobs that don't have a start or ending point. Instead the LED rings show you the position of the knob. This means that the controller and the software are always in sync, even when changing banks, racks or songs on the fly. 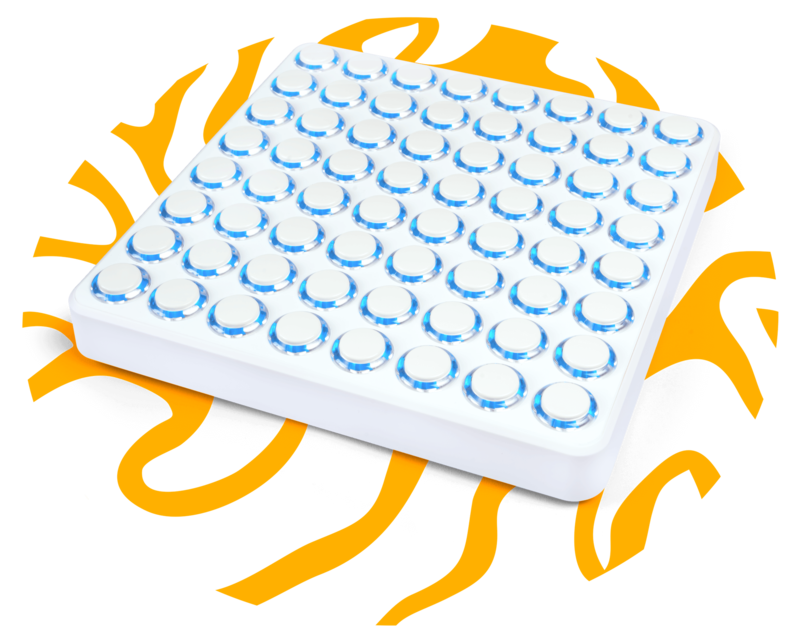 The Midi Fighter twister was designed with producers in mind. We need compact, reliable controllers that are easy to map to our DAW's. The endless encoders respond to the software so everything is always in sync, even when playing back recorded automation. "I just bought the MF Twister (wondering why i waited for so long) and I really love it!" "The build quality is really solid. This thing is going to last me a while. I can actually really really get crazy with this and automate stuff using these knobs and I think this will last me years." "How did I wait this long to get one? Unlreal. This is going to change how I play out. I may need another." "I use it for everything now from controlling my effects to my soft synths. With four banks of precise rotaries and push buttons this is my new favorite. Being able to edit multiple controls in a bank also makes customizing a breeze..."
Combine The Twisters powerful knobs with a DAW template so that every time inspiration strikes, a powerful studio environment is there to support you. This is how the pro's do it - why wouldn't you? The knobs not only control your typical volume, pan and FX send controls but they also enable a host of quick access to deeper control - only available on the twister. For example, push the encoder to send out a fine resolution range and dial in the exact EQ setting you want. Release and return to normal range control. You need to be able to react to the dancefloor. Having a dedicated controller is just like being a practiced instrumentalist. Once you have a idea, you can just make it happen as soon the inspiration hits. Check out our full support page here. If your question isn't listed, open a support ticket. How long does it take to ship to me (domestic and international)? Can I use this with other controllers? Yes! Producers love using the Twister alongside Ableton Push 2, piano keyboards, and analog synths. DJs love using it alongside Native instruments, Numark, Pioneer, and Serato hardware. The special button functionality (filters, push-to-reset, shift knobs) are setup via our free Midi Fighter utility software and will work in any software that supports midi allowing you to expand your softwares limits. Is the Twister standalone or do I need a computer? You need a computer. The Twister will work with any computer that has a USB port and supports MIDI. The MidiFighter Twister is a class compliant, plug and play controller. This is not a cheap controller to build. Other manufactures use cheap plastic knob shafts that wobble and are easy broken. We use metal knob shafts to ensure durability. We upgraded the playability via dual function encoders and we've even included free customization software with insane flexibility so your controller can perform exactly as you intended. You're paying for build quality, customization options, and LED feedback. We made our controllers for ourselves and to please DJs, not to make insane profits. At first glance it may seem expensive, but you're getting a lot for your money. You wouldn't use a audio cable likely to break when playing a DJ gig, so why would you buy a poor quality midi controller? We'd love to help you. Check out our full F.A.Q section here Look anywhere online and you'll find somebody saying how amazingly helpful our customer support is. Contact us on live chat, or open a support ticket.